Come join us on Saturday July 20th for the 10th annual Delta Lake Sprint, Olympic, and Delta Double Triathlon at Delta Lake State Park. This event was previously hosted by ACT Endurance and will be the first year as a Wilson Endurance Sports, LLC event. All of the great things you have loved about this race with the addition of a Kids Triathlon in the afternoon. Results will be posted online. The event will begin on the shores of the beach, with a transition adjacent to the bath house. 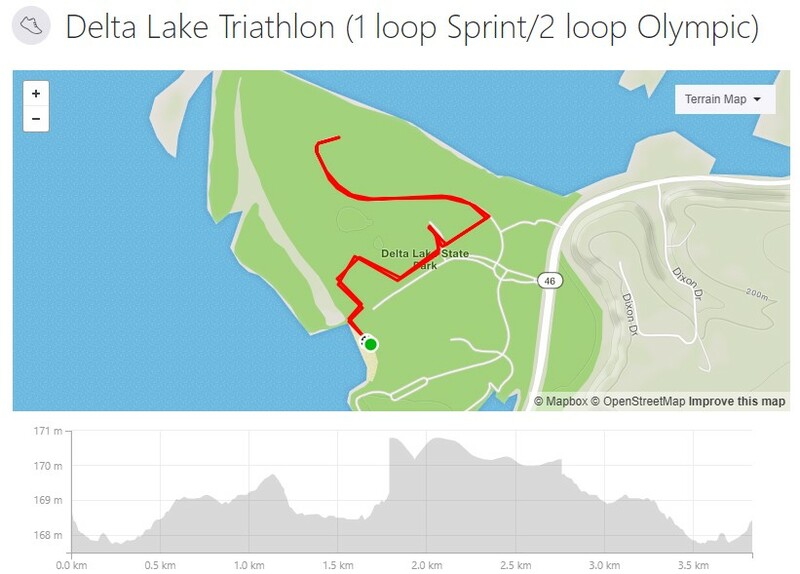 Athletes will swim 1 loop (800 m Sprint) or 2 loops (1500 m Olympic) starting from the shore of the Delta Lake swimming beach. The one or two loop out and back style course on NY Route 46 featuring a flat, smooth road with a bountiful riding lane. The 2.9 and 5.8 mile run course will be held entirely within the State Park itself. It’s simple really. 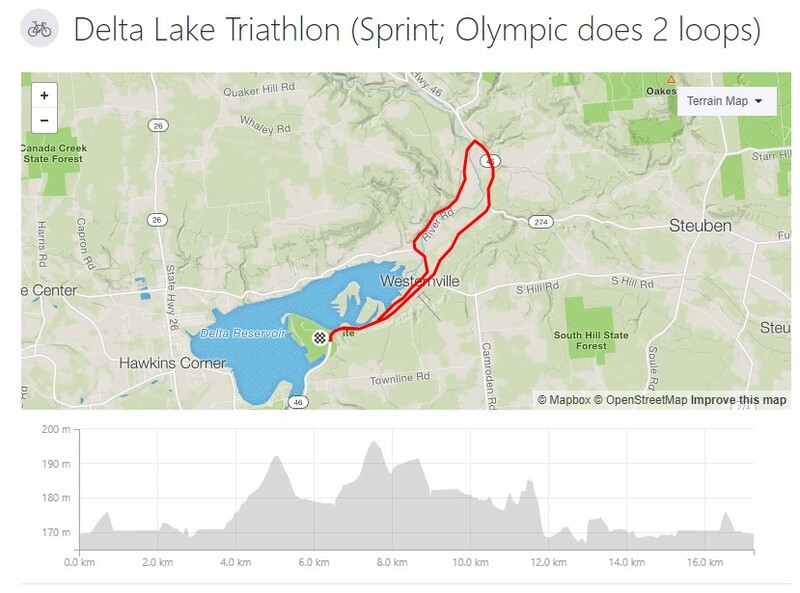 First, compete in the Delta Lake Sprint Triathlon, then suit up and give the Olympic race a go. Add it all up and it’s almost a half iron race. Athletes competing in the Delta Double should plan on finishing the Sprint race in 1:25 or less to ensure they get to the starting line of the Olympic on time. 11 & Under: Swim – 100 Meters, Bike – 3 Miles, Run – 1 Mile. Delta Lake State Park is an hour east of Syracuse on I-90, and two hours west of Albany on the same highway. Contact the race organiser for more volunteering information. Do I need to bring anything to the race? - This is a USAT sanctioned event. All athletes must produce a valid USAT Annual Membership on race day along with photo ID or purchase a one-day license for $15 or $10 for Kids Annual Membership 17 & Under. CASH OR CHECK ONLY ON RACE DAY. NO CREDIT CARDS. How are awards organized? - Awards are given out in 5 year age groups (for both male and female) from 19 & under to 85+. How was Delta Lake Triathlon?